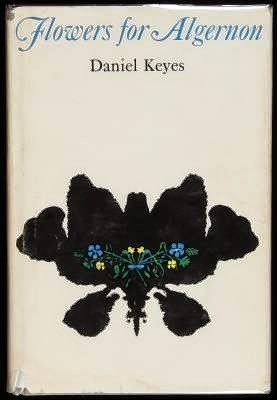 Flowers for Algernon is a science fiction short story and subsequent novel written by Daniel Keyes. The short story, written in 1958 and first published in the April 1959 issue of The Magazine of Fantasy; Science Fiction, won the Hugo Award for Best Short Story in 1960. The eponymous Algernon is a laboratory mouse who has undergone surgery to increase his intelligence by artificial means. The story is told by a series of progress reports written by Charlie Gordon, the first human test subject for the surgery, and it touches upon many different ethical and moral themes such as the treatment of the mentally disabled. I read it when I was 8 years old and now find it analogous to our life experience; attaining everything what life has to offer and losing everything at the end. Charly - 1968 film starring Cliff Robertson, for which he won the Academy Award for Best Actor. I watched it for the first time last month. At first I thought the film looked dated, but found I loved that the film is set in the Boston, Mass of my youth.